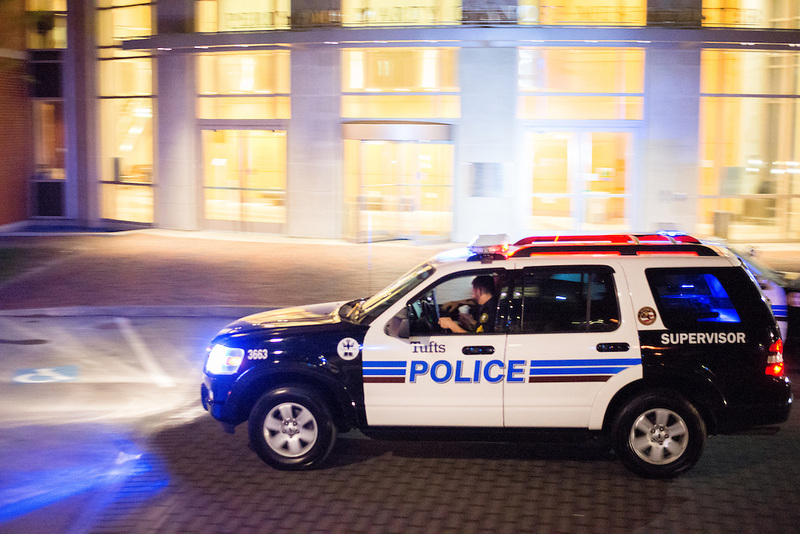 On April 3 at around 12:30 a.m., Tufts University Police Department (TUPD) responded to a fire alarm in Wren Hall. A single burnt cookie had been left in a melted bowl in the kitchen’s microwave. TUPD was unable to identify the individual responsible. Medford Fire Department reset the fire panel. On April 4, TUPD followed up on a report that two of the managers at Hodgdon Food-on-the-Run had been surrounded by a group of 30–50 students. One of the students got in the face of a manager and told them, “We won’t stand for it … we hear you’re harassing employees.” The managers called TUPD because the student group was impeding business, but soon after the group spoke to the managers, the students dispersed. Later that day at around 7 p.m., TUPD responded to a call at Cousens Gymnasium parking lot where a parent, who had been attending their child’s lacrosse game, observed damage to the passenger side of their rental car. The parent and TUPD were unable to identify the car responsible for the damage. The parent was advised to file a claim with the rental car company. On April 6 at 3:40 p.m., TUPD and Tufts Emergency Medical Services responded to a medical call at 200 Boston Ave. An individual had slipped on the stairs, which were wet as a result of the snowfall that morning, while coming into the building. The individual cited lower back pain and was advised go to the hospital, but they signed a refusal. On April 7 at 8:12 p.m., TUPD received a report that a hot water heater in Tisch Library was leaking. TUPD arrived on the scene to assess the situation; no books were damaged, but the floor tiles were in need of repair. TUPD called facilities to shut off the heater and repair the floor tiles.